On a cold and rainy night in Easley, SC, my daughter and I decided to stop into Starbucks for a hot coffee beverage. I have been to Starbucks half a dozen times in my life. My main take away was that the drinks were either too bitter or sweet for my taste. The decor is great at this location. It feels like you’re in the place to be. We had a lot of drinks to choose from but chose pretty readily. I ordered a hot butterscotch latte. The barista asked about my taste. From my reply, she said she would use one shot of syrup instead of two in my drink. It was tasty and the right amount of sweetness for my palate. My daughter loved her caramel macchiato, as well. Great job with the drinks. The place had a fairly steady stream of customers, but it was not overcrowded or uncomfortable. Speaking of comfortable, we took the two comfy chairs at the front. The two of us were enjoying our drinks, talking to each other, and I was leisurely writing on my laptop. I was feeling pretty inspired, which I think was mostly to do with the change of environment. We were appreciating this visit tremendously. Before long, a woman sat beside me and started talking to us. We started talking about the coffee and the location. We talked about a variety of subjects. Before we knew it, it was about closing time and we’d conversed for hours! Before we parted ways, we exchanged phone numbers, so that we could keep in touch and go for coffee again sometime. How many places do you think you will get a hot beverage and come away with the bonus of friendship. I cannot wait to go again. This Premium Jasmine Green Tea by The Oriental Organic comes in a 2.82 oz recyclable cylinder of loose leaf tea that makes upwards of forty cups, depending on your cup’s strength. I use one level teaspoon of the leaves and get a perfect cup every time. I drink mine plain, but you can easily use cream and sweetener according to your taste. This Jasmine feels wonderfully refreshing, hot or cold, so it is excellent no matter the season. I find it thoroughly delicious whether paired with something or on its own. This tea is a Chinese origin Jasmine, grown organically in the mountains of the Yunnan province, where it is hand-picked. It is lead-free. Green tea is especially full of antioxidants which get rid of free radicals in your body for your continued good health. The Oriental Organic offers a 60-day money back guarantee, so there is no risk. Should you wish to learn more about this Premium Jasmine Green Tea by The Oriental Organic, here is the Amazon product page. This “Wine A Bit, You’ll Feel Better” Vinyl Wall Decal by ULAKY was perfectly packaged (wrapped in plastic and rolled over a styrofoam tube) so that it arrived unwrinkled and in pristine condition. It came with a helpful instruction sheet, so there are no worries that you will mess it up. The decal has individual pre-cut elements that you can peel and apply to your wall or another predetermined area. The surface needs only be clean and smooth for successful application. Importantly, this sticker is removable and repositionable. It should not leave behind any sticky residue, either. That means when it outlasts its charm, you can just peel it off. It should not harm paint. The decal is environmentally friendly and non-toxic. I would not hesitate to buy again from this company. If you would like to have this ULAKY humorous wall decoration for yourself or as a gag gift for a loved one, here is the Amazon product page link. If you would like to see my original review on Amazon, here is the link. This Creative Lifestyles Funny Glass Coffee Mug’s listed capacity is 13 oz. However, 10 oz fills the receptacle nearly to the brim. The cup reasonably holds about 9 oz of liquid without much fear of spilling. About 8-10 oz is the perfect size for me, so the smaller size does not bother me. The glass is quite thick. You will not burn your fingers handling your hot beverage. The handle holds all of my fingers if I want, but is most comfortable for me with three fingers inside the handle, while the thumb is on top and the pinky on the bottom for full support. This mug is excellent for cocoa, coffee or tea. The imprint is repeated on both sides so that everyone can see the words. It shows off your funny side and just might strike a bit of trepidation in others so you can down a good bit of caffeine before they will start to bother you. I like glass mugs, as they conduct heat well. The drink keeps fairly hot alone, but I often use a beverage warmer to keep mine warm for an extended time. The cup I received has a lettering placement that is slightly off from the vertical arrangement on the other side. It is just a few millimeters different, but it is noticeable at certain times. The cup is food grade and has no BPA, as it is glass. Cleaning is easy whether you hand wash or put it in a dishwasher. I have done both without any problem. Microwaves are no problem for your glass, either. Personally, I have not done this, however. This Creative Lifestyles Funny Glass Coffee Mug has a 100% satisfaction guarantee, so there is no risk. Should you wish to get one for yourself or a loved one or coworker, here is the Amazon product page. I like this “Go Away” Coffee Mug a good deal. This is a large mug. It holds 13 oz of beverage, but you would have to fill it to the very rim. Personally, that is not my habit. I tend to fill this cup with 10 oz of coffee, which is roughly the amount of liquid showing in the product picture. For me, this is a good amount of beverage. I drink slowly, so a hot drink filled all the way to the brim would get cold by the time I finished. With durable, thick-walled glass, it feels substantial. The humorous message is on both sides so that all can see it. It would be perfect as a gift for someone who works in the public service industry, for instance. This glass is dishwasher and microwave safe. If I were to suggest anything, it would be that the handle might be a bit more spacious so that all my fingers might fit into the handle. All in all, the “Go Away” Coffee Mug makes for a charming conversation starter. If you want to order one for yourself or that decidedly non-morning person in your life, here is the Amazon product page. These six Dulce Cocina Bamboo Coasters arrive in a handy holder. They are attractive and inviting to use. I prefer bamboo when possible for its sustainability. The look is quite cool. If you are one who likes large drinks, these are an ample size for even a huge thermos. My favorite use for them is to set under my bamboo essential oil diffusers. They protect my tables from leaks and spills with their ample grooves and look stellar, being bamboo as well. The disks, being bamboo, are lightweight. They are also slippery. They could slide off a table. The surface makes me overly concerned with the way I set a glass down, lest it tips over. Here is the Amazon product page if you are interested in getting a set of these quality bamboo coasters for yourself. This Aicok Single Serve Coffee Maker has a stainless steel body design. It is durable and sturdy and should be around for years. The Aicok is also BPA free. The machine is compatible with Keurig’s 10oz coffee pods. I have been enjoying many cups now with no issue. I used to have a Keurig maker in the past, but I gave it away to a loved one. It is surprising to me how much I like having one again. It is incredibly handy! I save money often by using a reusable pod filled with coffee my family enjoys. The size of this machine is so compact that I am toying with the idea of putting it on my desk for even more convenience. At only 8.5 x 4.9 x 9.1 inches and not even 2.5 pounds, it’s got a small enough footprint for sure for all but the tiniest desks. I still love my French press, but this is excellent for those times that only one person wants coffee. If we both do not want coffee, we generally will not make a pot, as we do not want to waste any. This way, we get coffee whenever we like regardless whether the other person is in a java mood. The one button operation makes it simple for even the most bleary-eyed to make their morning brew. This machine has an auto-shut off and protection against overheating. It is UL certified. The Aicok Single Serve Coffee Maker has a 100% guarantee, as well as a 24-month manufacturer warranty, so there is no risk. If you are interested in getting your own compact coffee brewer, here is the Amazon product listing. 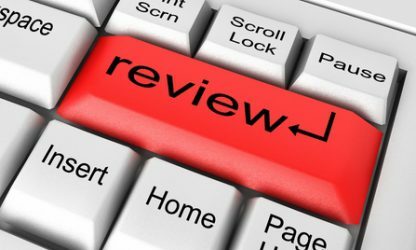 Should you wish to see my original review, it is here. I hope you find it helpful :-). This Kicking Horse Coffee, Dark Roast, Ground, 10 oz is the real deal. It is darker than most coffees I have had in the last several months, yet it has delightfully smooth, too. For me, that is a winning combination. It arrives in a fold-down, resealable package. It was fresh I could tell when opening the bag. The scent was earthy AND heavenly. The taste is full-bodied. It is the perfect eye-opener for my family and me. Already ground, you are one step closer to your morning jolt of java. Kicking Horse is Kosher and Certified Organic & Fair Trade coffee. These shade-grown Arabica beans are roasted 3,000 feet above sea level, near the Columbia River. The people behind Kicking Horse have been doing this for nearly 20 years, and it shows in this blend. I would say without qualification that it stands out proudly as one of the top three on my list of favorite tasting coffees ever. Good company! The Kicking Horse Amazon product page is here for your perusal over coffee.